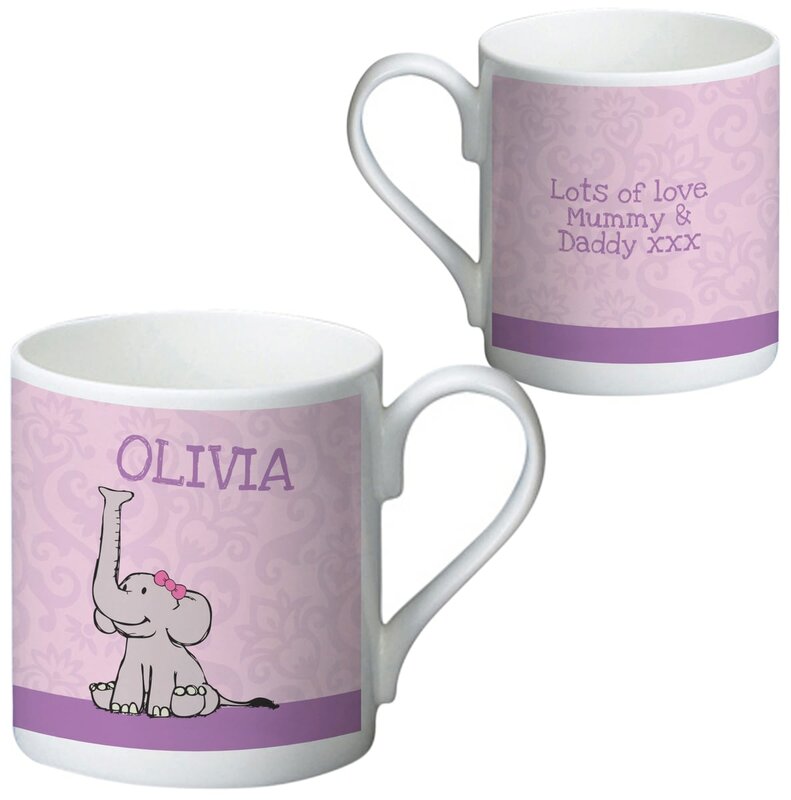 Your message for the bundle of joy is included on the back of the mug and her name adorns the front, making a perfect birth, christening day or first Birthday gift. Whether it's put on display until the she's older, or used by Mum, this personalised present will be kept for years to come. There's even a matching plate and bowl too! Looking for a unique gift for a special little boy? This cute baby elephant mug means you don't need to look any further!